Now that the #21DCC is concluded (you can still do the challenges but there are no more prizes), what options do you have in order to solidify those beneficial learning habits formed throughout the 21 days? 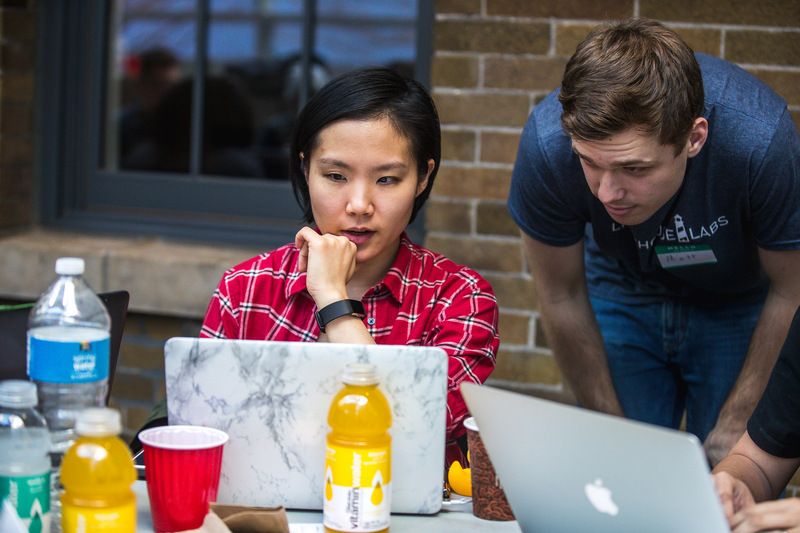 Whether it's at Lighthouse Labs, or elsewhere online, we recommend a number of options and resources to build off of the skills learned during the 21-Day Coding Challenge. Oh, and in case you missed it, make sure to check out our 21-Day Coding Challenge wrap-up blog post for all of the details of what went down during the initiative, including the sweet daily, finalist and grand prizes awarded (and winners) throughout October. If you made it to day 12 of the 21-Day Coding Challenge, check your inbox for a unique code for our part-time program(s). The bread and butter of Lighthouse Labs are our full-time Bootcamps, both in iOS Development and Web Development, offered in various cities across the country. Just like the part-time programs, the choice in the full-time programs comes down to what you want to get out of the program. Check out our blog post entitled "iOS Or Web Development: Which Bootcamp Should I Take?" If you want to become a professional developer, Bootcamp is the way to go. Remember to check your inbox if you finished the 21-Day Coding Challenge for a certain registration code. And to apply to any of the programs here at Lighthouse, you can fill out an application here. We may be coming to a city near you! Check out our events page for Demo Days, meetups, learn-to-code initiatives, hackathons, guest speakers and digital literacy events. Beyond our own material, there are many online resources available to continue learning on a daily basis. For simplicity, Don Burks, our Head Instructor here at Lighthouse, offers three resources that he recommends 21-Day Coding Challenge participants pursue now that the challenge is complete. And remember, if you missed this edition of the 21DCC, make sure to keep your eyes out for the next one sometime in early- to mid-2019!